A little beauty. One of our most popular boxes. 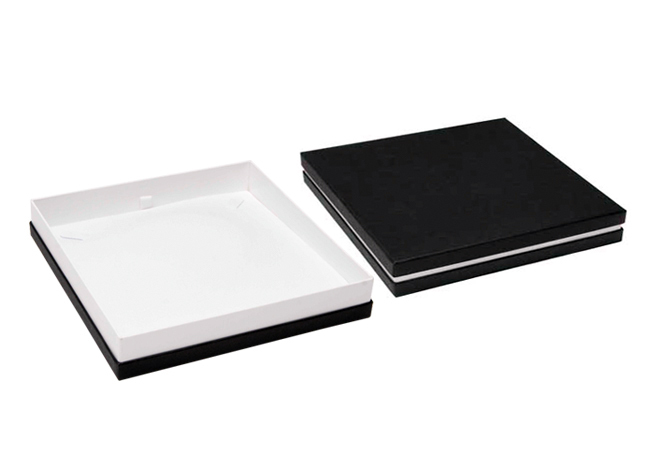 A functional yet attractive box optimising the impact of the black and white contrast. 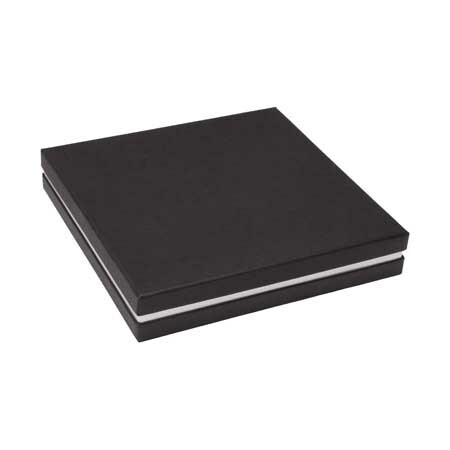 Art paper covered two piece cardboard box of high quality workmanship yet simple design. The interior is covered with white suede, a material that highlights the finest qualities of any jewellery. You may opt to have a black insert if required.